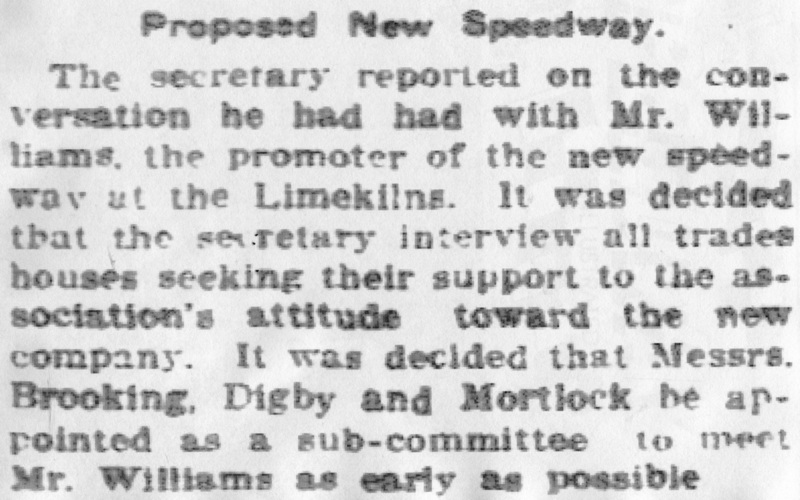 It is yet to confirmed if actual speedway meetings where held at the Limekilns site. The reported site was at the disused limestone quarry, that once supplied limestone blocks and limestone powder to construct many of the buildings in the Perth region , these smaller pieces were fired in the kilns buried in the hillside to reduce them to powder. The Limekilns Speedway was set in the general area of the now Quarry Amphitheature.